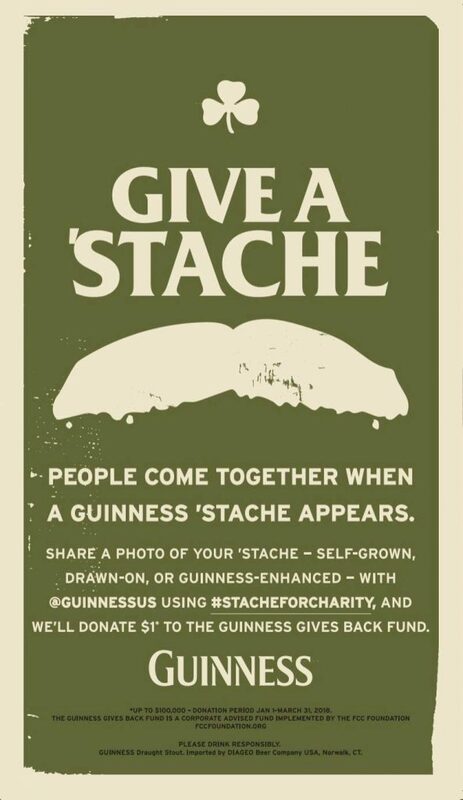 Give A Stache: Guinness Launches Campaign! Move over, Milk. There’s a new famous mustache in town. The ‘Stache’ is the new symbol for community, camaraderie and equality, no matter our backgrounds, beliefs or political leanings. In that spirit, from now through St. Patrick’s Day, adult beer lovers can share photos of their ‘Staches’ – self-grown and groomed, drawn-on, or Guinness-enhanced – on social media. For each photo tagging @GuinnessUS and using #StacheForCharity, Guinness will donate $1 (up to $100,000) to the Guinness Gives Back Fund*, which supports nonprofits that contribute to the common good in our communities. 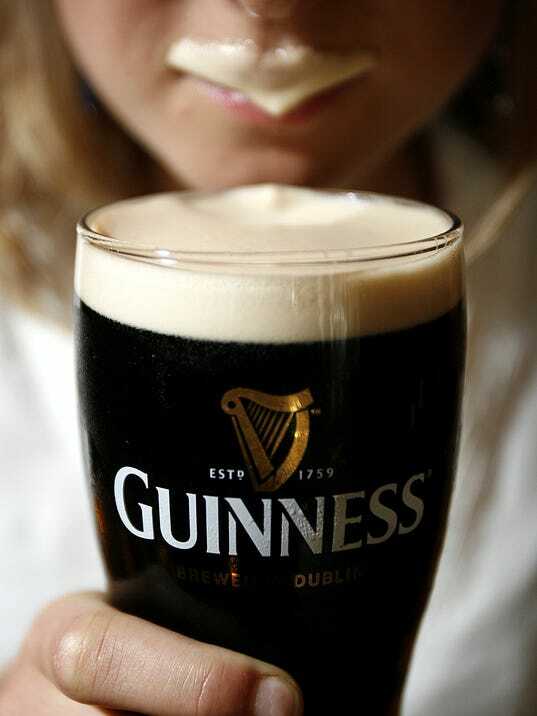 To keep an eye on everything the Guinness brand is doing and to get in on the ‘Stache’ action, follow @GuinnessUS on Twitter, Instagram and Facebook.